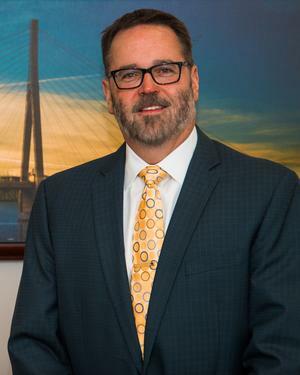 Ken Perkins’ 32 + years of award winning insurance and investment experience have made his firm Tri-State Financial Services one of the most respected firms in the Ohio Valley. Ken began his career in March 1985 with Metropolitan Life in Youngstown, Ohio. He was promoted to Agency President of the Ohio Valley Branch of MetLife in Steubenville April 1, 1991. Ken left the MetLife agency system in 1995 joining New England Financial, a MetLife affiliate where he was a perennial leader in Annuity and Securities based production. In 2007 Ken joined Walnut Street Securities, Inc., one of two independent advisor firms affiliated with the MetLife Broker-Dealer group. In 2013 MetLife sold their independent B/D’s to Cetera Advisor Networks LLC and since that time Ken has qualified for the Presidents Council with Cetera four times. Ken was proud to be the only Walnut Street Advisor to be admitted to the MetLife Veterans Association after 25 years of uninterrupted service. Currently Tri-State Financial Services employs two full time financial advisors and one full time office manager. The firm is licensed to conduct business in 13 states and currently has over $100 million of assets under management with offices in Steubenville, East Liverpool, Ohio and Carnegie, PA. Ken is also President of Ken Perkins, Tri-State Financial Services, LLC an independent insurance agency focused on life, health, fixed annuities and long-term care products with two full-time employees. Ken is very active in area business and charitable organizations such as the United Way of Jefferson County, the Jefferson County Chamber of Commerce and the Steubenville Revitalization Group. Ken is an elected Supervisor on the Jefferson Soil and Water Conservation District, he also serves on the Board of the Historic Fort Steuben. Ken is a Master Mason with Wick Lodge #481, a 32nd º Mason with the Scottish Rite Valley of Steubenville and is a member of the Aut Mori Grotto. In 2011 Ken was awarded the Grand Masters Award for community service by the Grand Lodge of Ohio F. & A.M. Ken enjoys riding his Harley Davidson and is a life member of ABATE of Ohio, Inc., the American Motorcycle Association and the Harley Owners Group. He also enjoys hunting and shooting and is a life member of the NRA as well as a contributor to the NRA-ILA.